These hypoallergenic, hoop earrings are made completely with pure titanium wire and a mix of gold, bronze, and silver Czech glass bead. They are perfect for even the most sensitive ears.Titanium is a mat gray metal. It is very strong. The beads are Czech glass bead. They are tiny beads, 3 x 2mm. 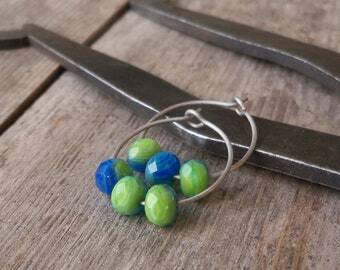 NOTE: I now offer colored titanium wire in 21g. The colors are listed in the last photo. If you would like colored wire, choose that option during checkout then leave a note for me to say which color you would like. The colors are not completely solid. There is some variation in the wire color. The dark purple, dark blue, and vintage bronze are all available in 20g (preferred gauge, slightly heavier). 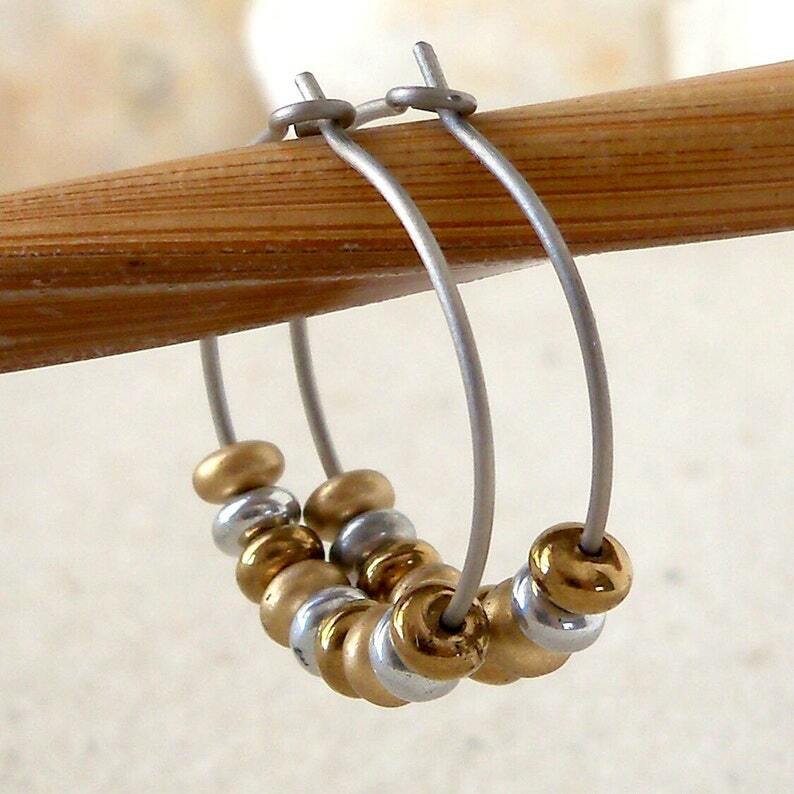 "I love these earrings! Most earrings irritate my ears after a few hours. My lobes swell a bit and get sore. These feel & look great! And the smaller gauge wire is much more comfortable for me. I'm so excited to be able to wear earrings again!"